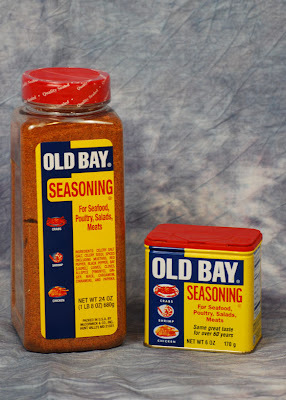 Hmmmm, Old Bay, it's not just for crabs anymore, huh? I rubbed a bunch of drumettes with the rub and then fire roasted (it was too hot to call it "smoking") them with indirect heat on the Big Green Egg at 350f for 30 minutes. I flipped them and let them go another 20 minutes. Then I tossed them in a 50/50 mixture of hot sauce/melted butter and put them back on for another 5-10 minutes to let the sauce crisp up. They turned out delicious for something we made up on the spot! 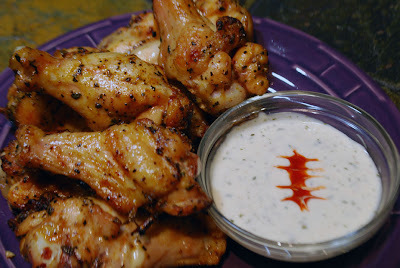 The next time, I'll up the Old Bay to 2 tablespoons and hit them with the butter/hot sauce a second time when they come off the grill.